CCS control stations are light stations designed for working in a standing position, designed for color control usually performed in a production hall in the printing process. They are also used in the pre-press process, laboratories, textile, cosmetics and dye industries. Everywhere where you need an objective assessment and color comparison. All Lettero color control stations are characterized by high quality, guaranteeing trouble-free operation. They meet the requirements of the relevant ISO standards, which is confirmed by the FOGRA certificate issued by an independent research institute. CCS Lettero color control stations, thanks to the size of the workspace, give the convenience of working with large format printouts, letting you compare several prints with the reference standard at the same time. Optimum working conditions are ensured by the temperature tested light and almost complete isolation of the working space from the impact of accidental light. 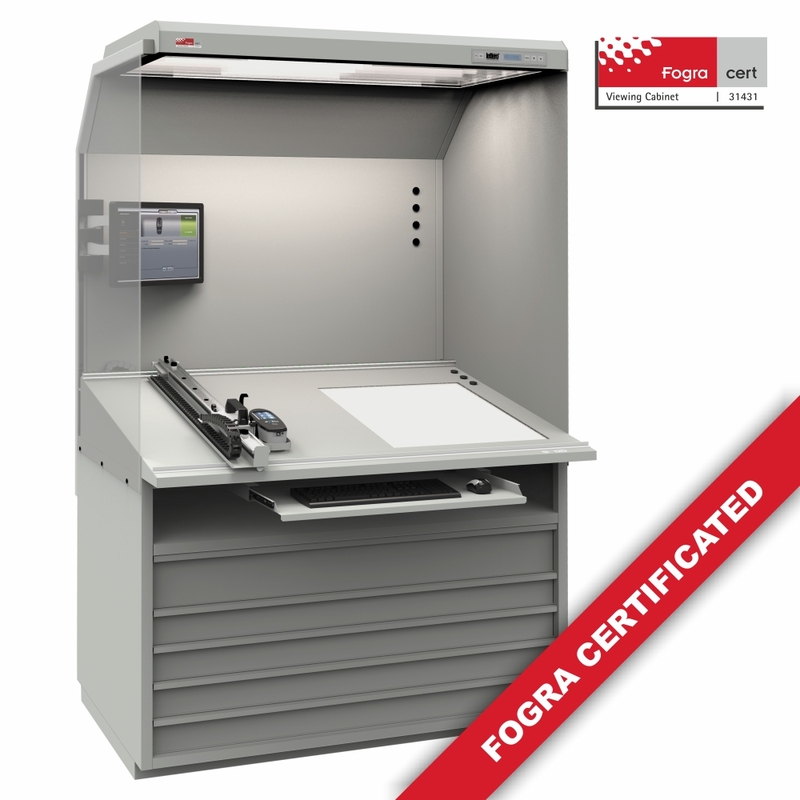 CCS stations use a modern LED technology as a light source (fluorescent lamps can be used as an option) in accordance with ISO industry standards, confirmed by the FOGRA certificate. CCS stations are available in three standard sizes, have a wide range of accessories to facilitate work and extend the possibilities of use. 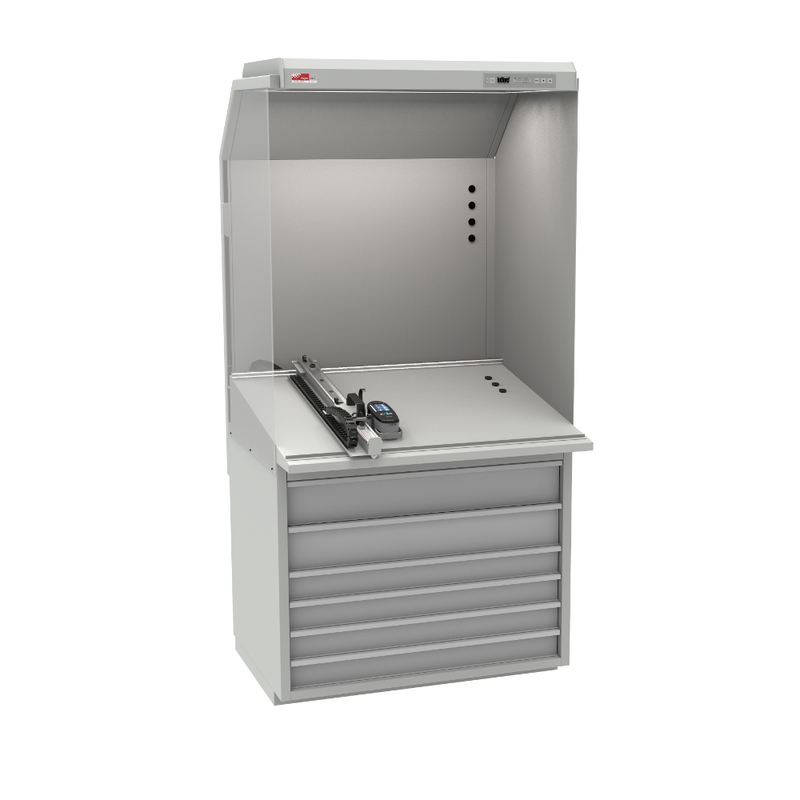 They can have a hinged top, accessories for using the computer, or a holder and guides for the spectrophotometer. 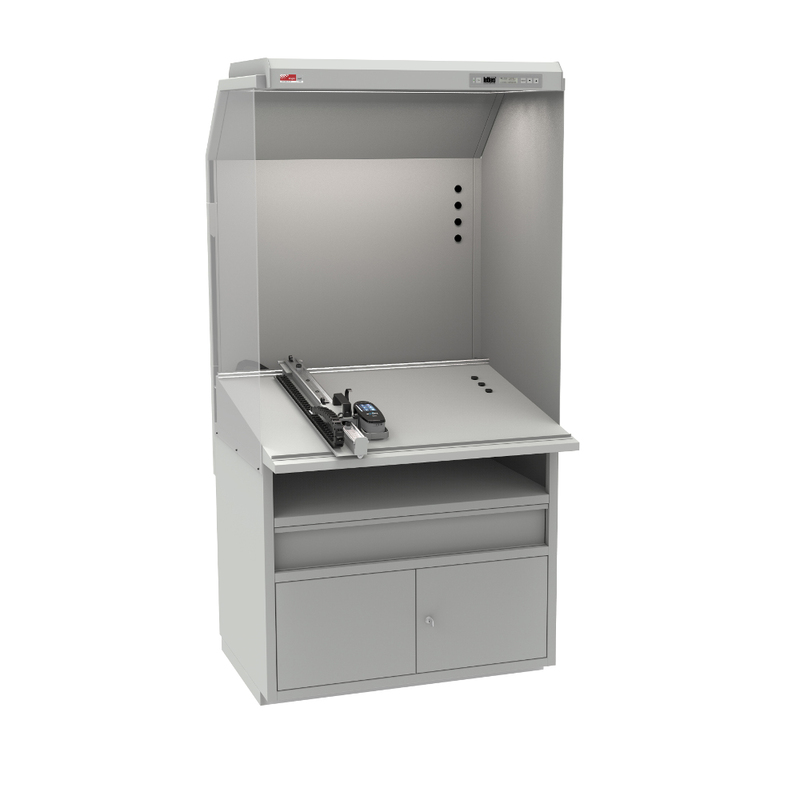 CCS stations are mounted on racks or very practical drawer-cabinet bases, which help maintain order.